Due to frequent backlogs in adoption applications, processing time may take 10 to 14 days. We apologize for the inconvenience. We appreciate your patience and your desire to adopt a rescue. An adoption team volunteer will be in touch soon. - Applicants must be 24 years or older, with proven ability to afford and care for a pup (students cannot be considered). - AGB has a long list of families with young children waiting for a dog. If a dog has not proven itself trustworthy around children, AGB will not risk a child's safety. If you complete an application, please understand that the wait could be lengthy. - Applicant must have a true fence, not invisible, if they have children 8 years old and younger. The reason we have this policy is that children under the age of eight have a tendency to open the door - or leave a door open - and the dog can escape from the home. If you are interested in adopting a Golden please fill out one of our forms at the bottom of the page or call us at (205) 290-7788. The adoption processes are thorough but remember â€œwe are striving for that perfect fit of family and dogâ€�. Adopting a dog is a decision that should not be taken lightly. Your dog will be a part of your family for a long time, and can provide you with years of enjoyment and wonderful memories. 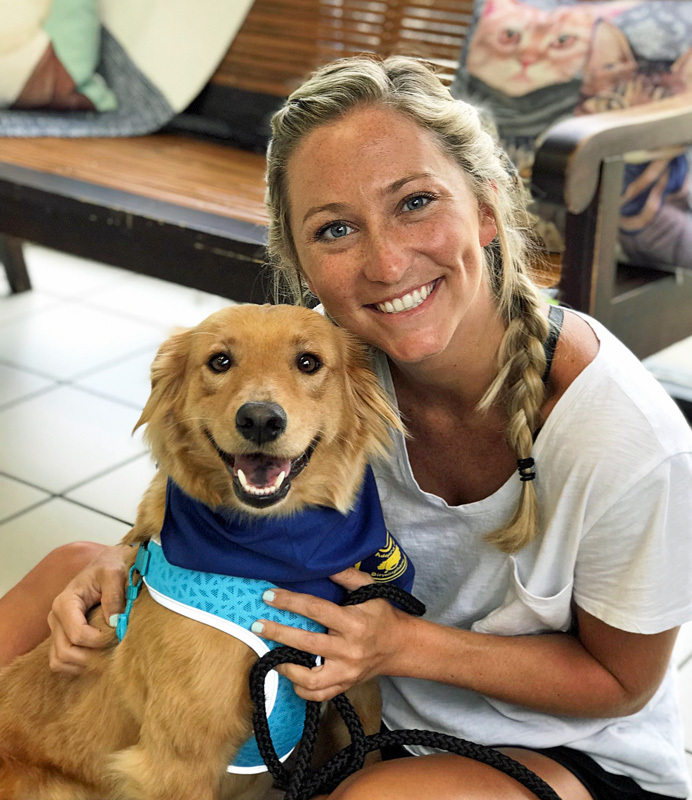 The process for adopting one of our Golden Retriever starts with completing an application and submitting a non-refundable $30 application fee. References from your application, including your veterinarian and landlord, will be contacted. After your home check, one of our volunteers will work with you to match your family to the perfect dog.